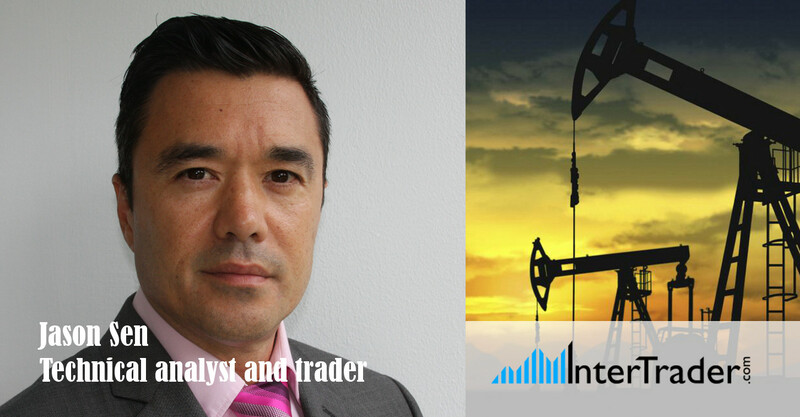 InterTrader Blog > Market Data > Are we near a top in WTI crude? Are we near a top in WTI crude? Large energy speculators reduced their bullish net positions in the WTI crude oil futures markets last week, according to the latest Commitment of Traders (COT) data released by the Commodity Futures Trading Commission (CFTC) on Friday. The non-commercial futures contracts of WTI crude, traded by large speculators and hedge funds, totaled a net position of 690,727 contracts in the data reported through Tuesday 1 May. This was a weekly fall of -21,696 contracts from the previous week. The speculative position has declined for two straight weeks. However, the overall net position remains extremely bullish. There’s no doubt that the speculators have done very well. The latest leg higher in WTI crude has taken prices from an April low of $61.93 to a high over the last two weeks of $71.89/92. That’s a steady $10 profit over the month. Perhaps now the smart money is starting to take profits, but there are still near-record-level long positions. If prices were to start to tumble, this could trigger large stop-loss orders as the speculators race to the exit, with few new speculators on the sidelines ready to step in to absorb the volume. This would put the commercial traders back in control of the market. The key to future direction is the 500-week moving average (the green line in the weekly chart below). This is now sitting around $73. The market has stalled not far below, around $72 as a small number of speculators take profits. Note the severely overbought conditions in the weekly chart, and also in the daily chart below. However, there are no clear negative candles or patterns to suggest a significant sell-off in the price is imminent, on either chart. A couple of ‘dojis’ on the daily chart suggest some indecision. This probably reflects the profit-taking from those speculators, but is no clear reason to enter short positions yet. There is a small double top as we hold last week’s high, which could signal a peak at this stage. It is so small we cannot take it as a major sell signal. However it does warn bulls to at least take some profit on long positions and to keep stops tight. Another small warning is seen on the four-hour chart. This shows a big red candle after the rejection of the recent high at $71.89 on a re-test yesterday. Short-term traders who have been waiting for a signal to enter a short may now consider it worthwhile in such severely overbought conditions, as we hover below the important 500-week moving average. The Brent crude oil contract gives bulls a little more cause for concern, after we topped only about 30 ticks from the green 500-week moving average. The daily chart shows a clearer doji after a big blue-bodied candle on Monday. If this were to be followed by a big red-bodied candle by today’s close, this would act as a significant sell signal in overbought conditions. After the new highs this week in both oil contracts, we need to watch whether prices close down on the week on Friday. This would act as a sell signal, bearing in mind the overbought conditions and important 500-week moving average resistance.